When it comes to preventing of kidney stone, citric acid is an effective tool. It inhibits the formation of stone and breaks the stone into small pieces at the beginning of the process. The increase in the amount of citric acid in your urine which helps you to stay protected from the formation of kidney stones in your body. Citric acid makes it difficult to the waste material to come together and form a big stone in the kidney. It also prevents other materials to get attached with the small stones and create a problematic big stone in the kidney. In the traditional medicine often potassium citrate is prescribed for the kidney stone treatment. The conventional method of treating kidney stone is quite expensive and you might need to consume 12 tablets in a day. Thus, you can move to the natural method of treating kidney stone using lemons which are the rich source of citric acid. You can make this healthy drink at home to get rid of kidney stone quickly. Take a 1-2 fresh lemon and squeeze out a ½ cup of fresh lemon juice. Now, add 6 ounces of water to it in order to dilute the lemon juice. Stir it well and drink the solution twice a day. You have to maintain a goal of consumption of 4 ounces of lemon juice per day. Note- if you have any allergy of lemon or any other specific health condition other than kidney stone then consult the healthcare provider before you start this treatment. Isn’t it the simplest way to break down the kidney stone naturally? Indeed it is! 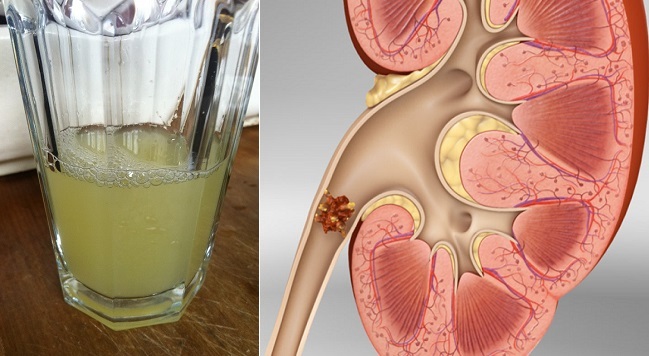 Try this remedy every day for 1-2 months and you will get relief from the kidney stone.